Hey Kaila, so awesome to talk to you about you today, rather than about other people and their work. We’ve been working together for a couple of years now but I’ve never had the chance to ask you more about yourself. Let’s start simple… I know you through your work as a publicist, can you tell folks just what it is you do and some of the campaigns you’ve worked on in the past few years. Hi Justin! This is so exciting, thanks for giving me the chance to talk! Hopefully I don’t embarrass myself too much. I guess my work can best be described as specialty film press relations, with an emphasis on genre projects. Side note: PR means working with journalists to facilitate coverage of whatever your representing. In the case of my field that mostly means coordinating interviews, reviews and features with journalist. I work primarily with genre film festivals, like the Fantasia International Film Festival and the Brooklyn Horror Film Festival, managing or assisting in their communications departments. I’ve also done remote PR for Monster Fest and Tasmania’s celebration of women filmmakers, Stranger With My Face, and worked with a gaggle of festivals, mostly across the US. Between festival gigs I work with films on the festival circuit or doing theatrical. While I’ve done work with distribution companies I kind of pride myself on working with “underdog” films that wouldn’t usually be able to achieve such a level of attention (god does that make me sound awful?). Besides the amazing film festivals I’ve had the privilege to work with (and attend!) some of the campaigns I enjoyed the most were representing the world premiere of Glass Eye Pix’s Darling at Fantastic Fest, working with the Ravacon Collective bunch for their indie slasher homage Lake Nowhere (one of my fav horror movies still) and film related clients Spectacular Optical Publishing, a Canadian micro-press specializing in pop-culture related books, and the Miskatonic Institute of Horror Studies, both founded by my friend and sometime boss Kier-La Janisse. Awesome. One of the big ones you’ve been tied into, festival wise, is Fantasia Festival. How long have you been working with them? Oh this is kind of a cute story. I first got involved with Fantasia when I was a teenager- like seventeen, maybe? It’s hard to remember. I started volunteering with them purely so I could see movies for free. The festival is a womping three weeks long in the middle of Montreal summer, so it’s really quite an experience (or “festival bootcamp” as I call it now). After a few years I was trying to decide to do with my life (that age old question) and amidst dropping in and out of school and jobs realized that my summer’s spent at Fantasia, and with the staff and volunteers there, were my favourite thing. I asked about any openings in the team and was placed in the communications department. Honestly, I didn’t even know what communications was before that moment, but in a way everything I’d done had been leading up to that moment. Now I work in the International PR department with Ted Geoghegan, who was kind enough to teach me the ropes when I started out. Fantasia, as well as many of the other festivals you work with and films you rep, spends a good deal of time in or adjacent to the horror genre. Is horror something you’ve always loved or something you’ve grown to love more in recent years or something else entirely for you? My true love for horror, though, definitely solidified from working at the festival. Especially being able to see films in connection to the cast and crew behind them. It’s kind of funny to say but this was kind of a big step in me realizing how horror movies are an amazing outlet to express social issues, anxieties of the self, and political criticism. It was like seeing the films in a 360 view for the first time, as something more than just splatter-full images on a screen. It’s Women in Horror Month and, to me, you fit the bill. You are a talented woman working in the horror and genre worlds. What’s it like being a woman in this male dominated genre for you, as someone who spends time mostly behind the scenes, rather than in the films themselves? I think I lucked out a bit on this front. To me, it feels like I entered the scene when the gender scales were just beginning to tip. I had a bunch of women to look up when I was figuring out my place in the festival world. That being said the numbers are still greatly imbalanced at most festivals and genre events (the difference in bathroom line size at Fantastic Fest being one of my favourite visualizations of the problem) but from this inequality I’ve found that a lot of the women navigating it- either as press, festival staff, filmmaker, or what have you- are eager to meet and connect with fellow like-minded gals. There’s like this unwritten disclaimer that we need to stick together and watch each other’s backs. I’m so thrilled by the women I’ve met around the globe, and I think it’s important we try and find small ways to continue the good karma around us. I work with the Final Girls Berlin Film Festival, a new women-focused event here in Berlin, and try to make myself available to any new women directors trying to get a feel for the scene. I also made it a point to invite a bunch of new women press to Fantasia, who also happen to be some of the most professional, well written and charismatic folks I know. One of my favorite women in horror is Kier-La Janisse. I was turned onto the work of her company, Spectacular Optical, as well as some of her other writings, through your PR campaigns. Since that time, I’ve become a huge fan of her work. What’s it like working with her and her numerous endeavors? I absolutely love working for Kier-La Janisse. For those who don’t known, she’s a Toronto based author, programmer and all-round maverick of the genre scene. She’s worked for some of the best festivals in the world (and currently sits on the advisory boards of both Fantastic Fest and AGFA) and has launched her own literary publication label with Spectacular Optical and founded the Miskatonic Institute of Horror Studies school, which organizes university level classes in locations in Brooklyn and London. She’s the author behind the House of Psychotic Women: An Autobiographical Topography of Female Neurosis in Horror and Exploitation Films, which is nothing short of the bible for the genre world, seriously (the number of filmmakers I’ve met saying they made all their cast read it prior to a horror shoot is astounding). Kier-La is never afraid to go for something, and has an uncanny knack for seeing where there’s room for development. There’s even a documentary on her! I’m always in awe of the new projects she ensembles and pursues, and am honoured to help them along. I’ll be talking to several women who work as filmmakers, actors, and in various other roles this month. Who are some of the other women you have worked with that have blown you away with what they do in the horror world? 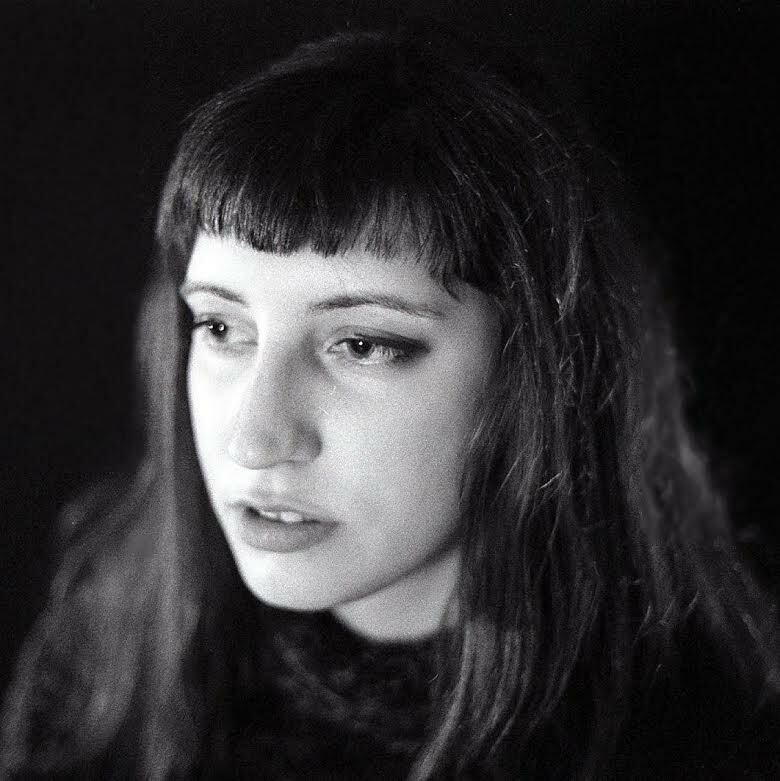 Another woman on my A-list is Glass Eye Pix’s Jenn Wexler, whose directorial debut The Ranger was just announced as part of SXSW’s upcoming Midnigthers line-up. Sometimes you just meet filmmakers and you know they’re going to do great things. Prior to The Ranger, Jenn was a producer on a number of GEP films (and on their live-action radio events, Tales From Beyond the Pale, which is how we first worked together!) and seeing the confidence of which she navigates these projects is. I’m also a huge fan of the kind of horror films she strives to make. There’s a bunch of women film writers whom I deeply respect and am always thrilled at a chance to work with. April Wolfe (of the all-star editorial team that operated LA Weekly prior to it’s poisonous take-over) is one of strongest voices in film criticism operating right now, and one of my favourites to read. Jen Yamato has also continued to set the bar higher and higher with her arts features at The L.A Times and Monica Castillo’s continuous championing for Latin American representation, both on the screen and in words, as part of the New York Times has been a much needed voice. God the list of women critics and film writers whom I get excited at the chance to work with goes on. And I swear I’m not being gender biased! They’re all just so good at what they do and their words are always immaculate. Moving back towards you, besides your work in publicity and PR, what are some of your favorite things to do, ie. hobbies, etc. Oh God, can one really have hobbies after finding film festivals?! Joking, a little bit. So I moved to Berlin from Montreal about a year ago after getting, ahem, denied entry to the US… for a few years. I swear it’s not drug related, but it’s a complicated and messy situation that forced me to re-orient my life, but opened the door to a whole exciting world of European film festivals and markets. And guess what, there’s a lot. I feel like so much of my time is spent prepping for trips, I guess I can say packing and unpacking is my hobby. I try and spend most of my free time watching movies, so I can stay up to date on what’s going on. I used to collect VHS when I lived back in Canada and prided myself on essentially living in a video store. One of my early failed life paths involved being enrolled in a Fine Arts program, so I’ve been trying to inspire myself back into being creative (with more than my email fonts and colors) but it’s not as easy as riding a bike. I like collecting junk and weird antiques but I think that’s maybe more of fixation than a hobby. One of the other things I am spending time covering in February is blaxploitation film – mostly because it’s Black History Month, but also because I’m generally obsessed with it. Are you a fan of the subgenre? Have any faves? Ah man you kinda caught me here. I haven’t really seen many Blaxploitation films? Not out of avoidance. A bulk of my cinematic self-education has come from festivals (or my old VHS collection), and a lot of these older titles haven’t come into my life. This is the perfect month to remedy that, though! You’ve been working on a campaign for a great film festival happening this month that we happen to be covering here on the site, tell us a bit about working with Final Girls Berlin Film Festival and their lineup this year. The Final Girls Berlin Film Festival is a second year festival here in Berlin that I started working with when I made the move to Europe. We’re still growing, and this year our three-day event hosted five features films, a number of shorts blocks, plus panels and talks! The programmers decided on a really amazing line-up, featuring The Book of Birdie, Most Beautiful Island, Prevenge and the devastatingly amazing Pin Cushion, which is probably the most recent and currently lively on the festival circuit (see it see it see it!). We also played 2014’s under-sung pregnancy horror Lyle which really had the audience shaking in their seats. The team behind the festival is all super passionate and I’m really excited to see the festival develop! This year we hosted a filmmaker panel with directors from the US, London, France, Spain, Germany and Australia and it was really amazing to see the level of engagement, and see the women and the crowd take so much from it. I hope we can continue to do more events like that and really make a connection with the audience here and filmmakers. Great stuff, I definitely want to get you on an episode of our podcast Grindhouse Messiah later this year, but I’ll stop taking up any more of your time today. Let me wrap this up with two final questions. First, if someone like me wanted advice on how to get into your side of the film world, working on promoting film and organizing campaigns, what kind of advice would you have for them? Tricky question, but one I hear a lot. There’s really no easy answer. Everyone I know in PR has either studied it from the get-go in school, or sort of just stumbled into it through a connection to the film world. I think the best advice would be to keep an eye out for an opportunity, and to take anything that could be considered relevant experience. Get involved with new festivals that may be looking for staff, to best understand the workings behind the scene, or reach out to existing ones and ask about any openings. I’ve found that any experience in the film world is beneficial. Even working in hospitality or operations will ultimately give you useful skills you can use in press relations, whether it be through interacting with journalists or organizing and maintaining campaign strategies, and provide more contacts and connections. The genre world is especially small, and the more you get involved the better. Don’t forget to keep an eye on channels that advertise internships or entry-level positions at PR firms and film festivals too! Finally, what are the things you are most looking forward to as we move deeper into 2018? In 2018, I’m looking forward to… The Chilling Adventures of Sabrina The Teenage Witch! I am so excited for it- do I really need to say any more haha? 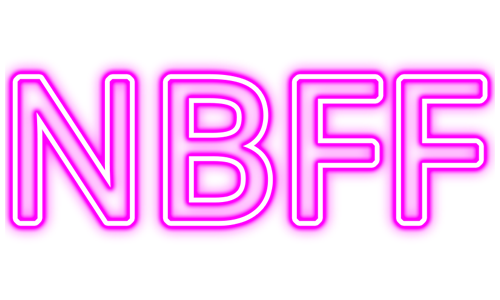 But really- I’m also looking forward to the first edition of the North Bend Film Festival, a new destination festival co-run by the folks behind Brooklyn Horror and Ithaca Fantastic, and coming to North Bend Washington this August. It’s set in the picturesque town where Twin Peaks was originally filmed and we’re all so so so excited! I’m looking forward to seeing how the Time’s Up initiative affects the greater movie industry, and to hopefully more female directed projects getting the green light and the proper push. I’m looking forward to it ideally being the last year of Trump’s horrible reign, the some of the chaos of the world subsiding, and hopefully finally getting the Frankenstein tattoo I’ve wanted since college.